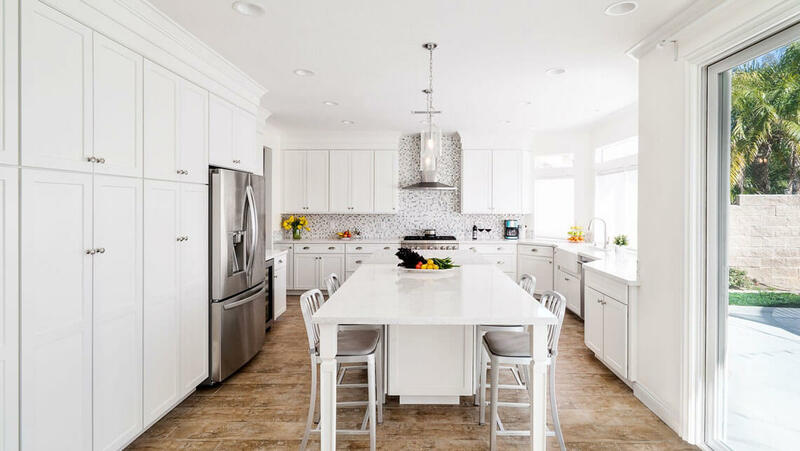 White wash makes a stylish come back in this transition remodel. A clean-lined glass mosaic added a pop of color and interest and a TV positioned over the tub created the ultimate place to rejuvinate. 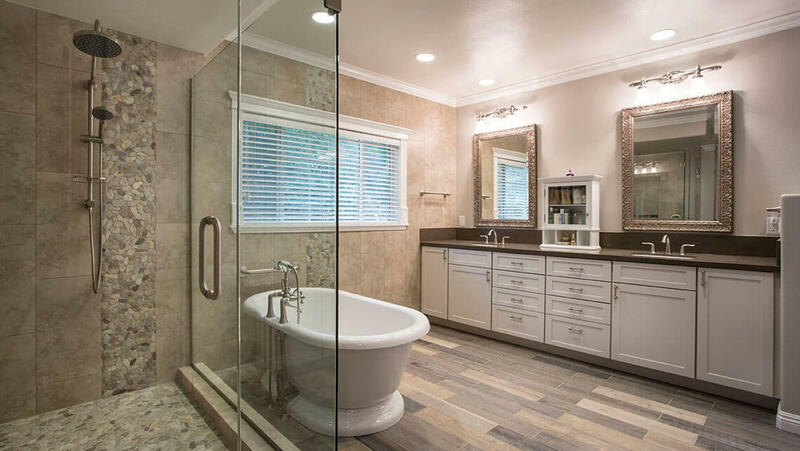 A true mix of traditional and contemporary, this master bathroom remodel showcases a modern wood-like porcelain tile floor matched with traditional fixtures and a freestanding tub. 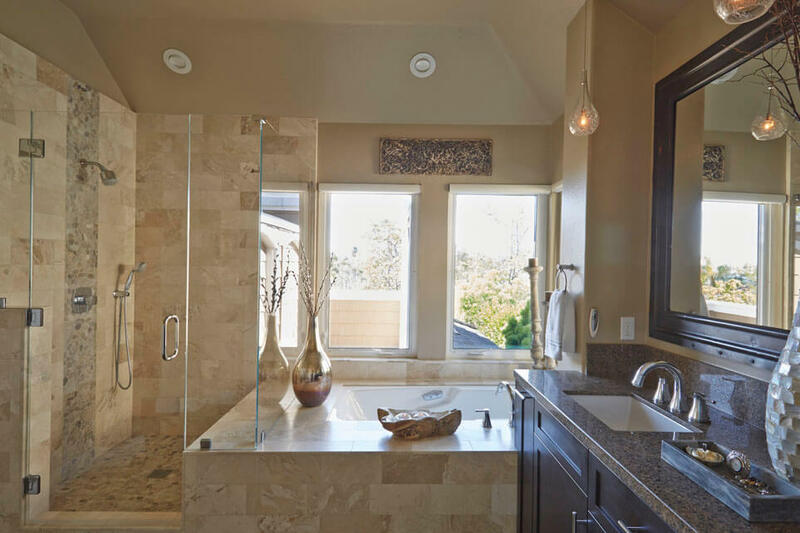 The use of pebble tile accents in the shower create a spa-like approach to this calming master bathroom remodel. 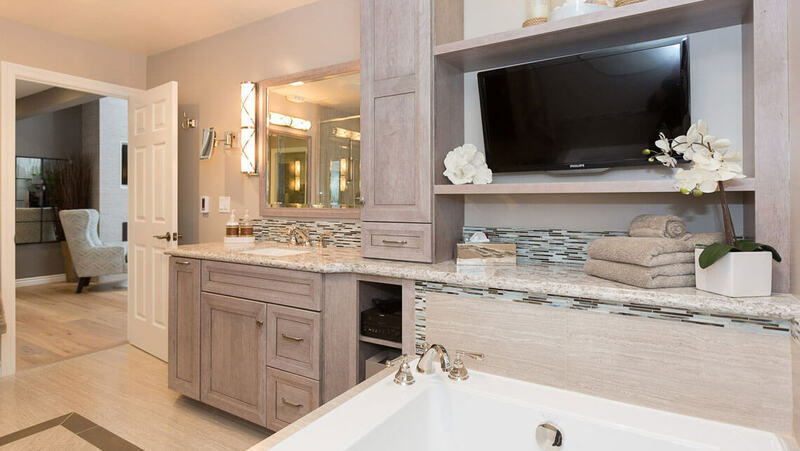 The space was designed to keep the location of the shower, tub and vanities the same, while updating the bathroom into a room of relaxation. 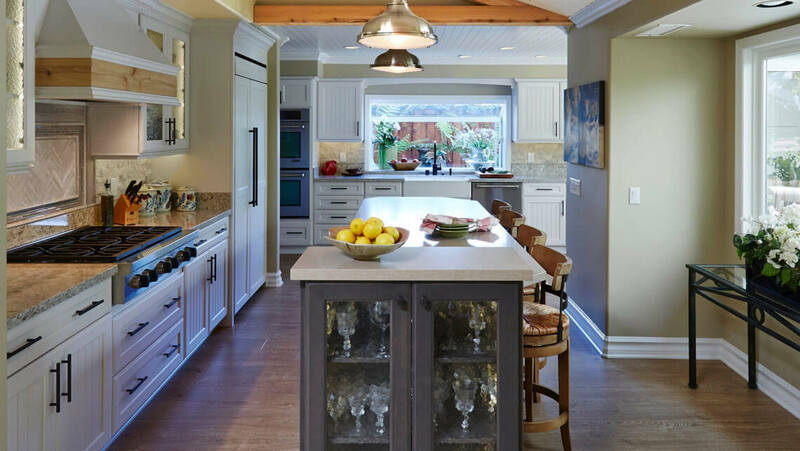 This fun kitchen remodel got our creative juices going. By adding a small amount of square footage to the back of the home, we were able to give this family a new dining room while re-purposing their old dining room to create a large T-shaped kitchen. Our client’s requested a design that incorporated a casual, rustic charm which is found in the wood beams that match the wood ribbon on the kitchen’s hood.